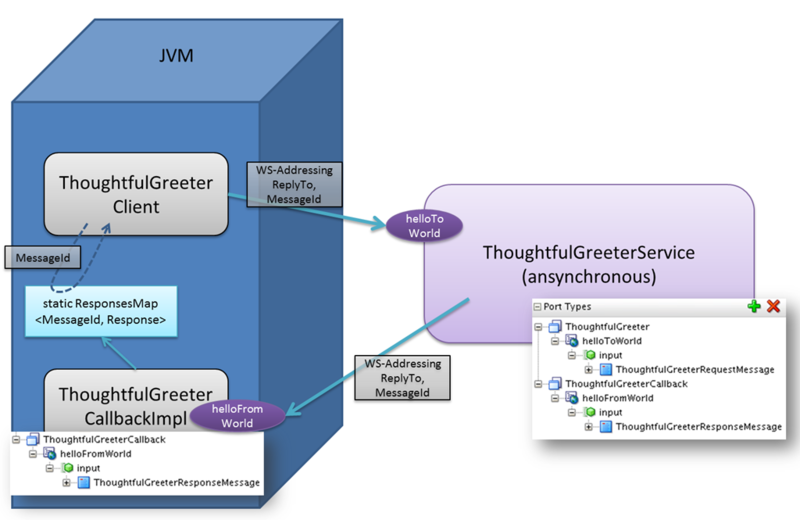 A recent article (http://blog.soasuitehandbook.org/implement-an-asynchronous-web-service-using-jax-ws-in-jdeveloper/) described how to publish an Asynchronous Web Service from Java (using JAX-WS). It also showed how such a Web Service can be tested using SoapUI. A crucial aspect in the interaction with the Asynchronous Web Service is the use of WS-Addressing headers to communicate the callback address (where the response can be sent) and the message id (for the correlation of that response to whatever thread or session invoked the web service). 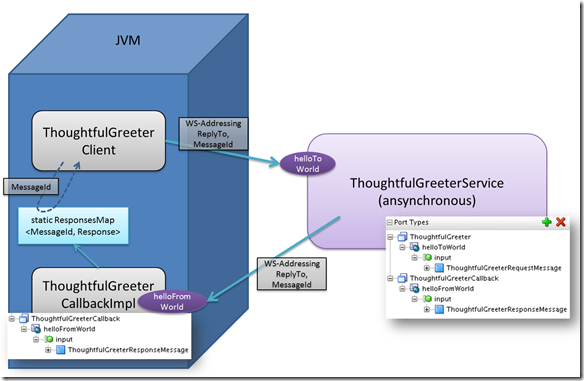 This article describes how we can invoke an asynchronous Web Service from ‘plain Java’. In this case too, we have to set the WS-Addressing headers. We also have to expose the callback service – and we will do so without the use of a Java EE container. Finally we have to find a way to correlate the callback response – received by a random thread in the JVM – to the thread that made the original call.